Developed by Dr Sue Johnson over 20 years ago and practised all over the world, EFT has been heralded by Time magazine and the New York Times as the couple therapy with the highest rate of success. Couples who use EFT see a 75 per cent success rate. The therapy programme focuses on the emotional connection of every relationship by de-escalating conflict, creating a safe emotional connection, and strengthening bonds between partners. 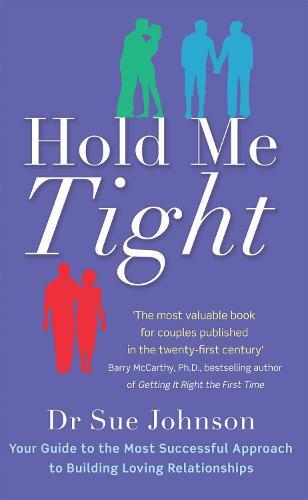 In HOLD ME TIGHT, EFT pioneer Dr Sue Johnson presents her highly effective therapy model to the general public for the first time. Through case studies from her practice, illuminating advice and practical exercises, couples will learn how to nurture their relationships and ensure a lifetime of love.